Please note the shop will be closed on Saturday 5th Sept, sorry for any inconvenience caused. 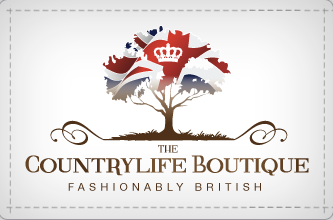 Pretty Ponies are excited to announce that our new store “The Country Life Boutique” is 'Now Open'! The shop is home to our Pretty Ponies brand as well as our own country wear label, plus accessories and gifts that complement the 'counrylife' lifestyle. We will also provide a bespoke service, so if it is a Shooting event or a day out at the races you have coming up, please visit us to discuss styles and fabrics. If you require something bespoke please contact us to make an appointment so that we can guarantee sufficient time to discuss your requirements.